October is Eczema Awareness month. So what is eczema? 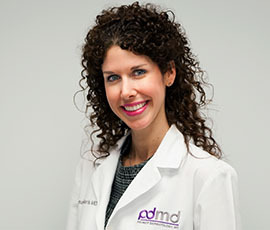 At Premier Dermatology, MD, Dr. Bilu Martin sees and treats eczema regularly in babies, kids, teens, and adults. It can be very itchy and is often annoying to patients. In Greek eczema means "to boil over," which refers to the blistering or weepy phase of the disease. Eczema can start in infancy as crusted patches on the scalp, cheeks, bottoms, arms, and legs. Later, as kids get older, it often shows up on the inside of arms and backs of knees. Adults usually develop hand and finger dryness and cracking, which is often painful. Although there is no known exact cause, it seems to run in families and has a genetic link. The immune system may be more sensitive to certain triggers. Often, asthma and seasonal allergies run together with eczema. People that have two of three of this conditions are called "atopics." They have skin that is easily irritated. People with eczema are very sensitive to fragrances and chemicals. All soaps, detergents, and moisturizers should be mild and fragrance free. Some good options are dove, cetaphil, cerave, eucerin, and vanicream. Make sure baths and showers are lukewarm, not hot. MOISTURIZING is a must. Moisturize right after coming out of the bath, when skin is still damp. A great choice is aquaphor. It's great for any skin area, as a lip moisturizer, for laser and peel after-care, for wound healing, on areas after biopsies and surgeries, etc. Slather it on. If it seems too greasy to use during the day, put it on at night and sleep with it. For dry, cracked hands, slap on aquaphor and then cotton gloves on top. Avoid soaking hands in water; use gloves when doing the dishes or housework. And certain fabrics, like wool, can be very irritating to atopic skin. When moisturizing is just not enough, there are prescription steroid and non-steroid creams for the skin, as well as antihistamines that can be recommended by a doctor. Also: raw, scratched areas can easily become superinfected with bacteria and viruses, so it's important to see a dermatologist regularly. Although many kids will outgrow eczema, there are still plenty of adults affected by it. Lucky for us Floridians - summer months are usually better for atopic skin than cold, dry winters.